Wake up every day to the hint of fresh evergreens in the atmosphere. Enjoy the crisp scent and smooth, soft touch of wood. Made entirely from the treasured Japanese Cypress, our environmentally friendly products provide more than just the gift of design. 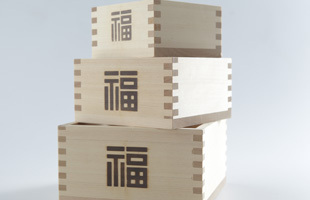 For over 60 years our company has been the leading manufacturer of traditional hand-crafted Masu boxes in Ogaki, Japan. 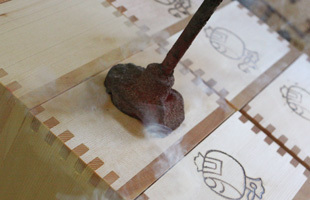 The traditional “Masu” box. Simple yet elegant, your imagination is the limit when it comes to using this versatile product. 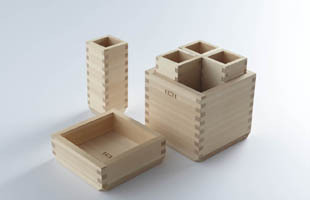 In Japan, it is customary to use a Masu box to drink and serve Sake. This series brings Ohashi design to your dining table. The name of this series speaks to our wish for the Masu to become a widely known product. This line of interior décor items is both unique and practical. 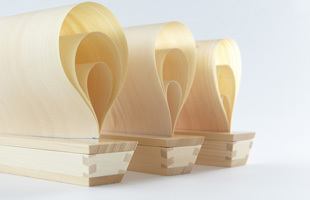 You are only a few clicks away from making your very own, uniquely designed Masu box. Send us your design data and we can brand, burn, or print to your preference.